The site planned for the stage is a good place, concurred Mayor Marsha Pigg at the town council meeting on Monday, Feb. 4. The town plans to use the new stage for band performances during their annual Fourth of July events. Once set up, it will have other uses as well, according to Cindy Luker, city clerk. The stage will be located off the track, in the field, next to where mowing is done. 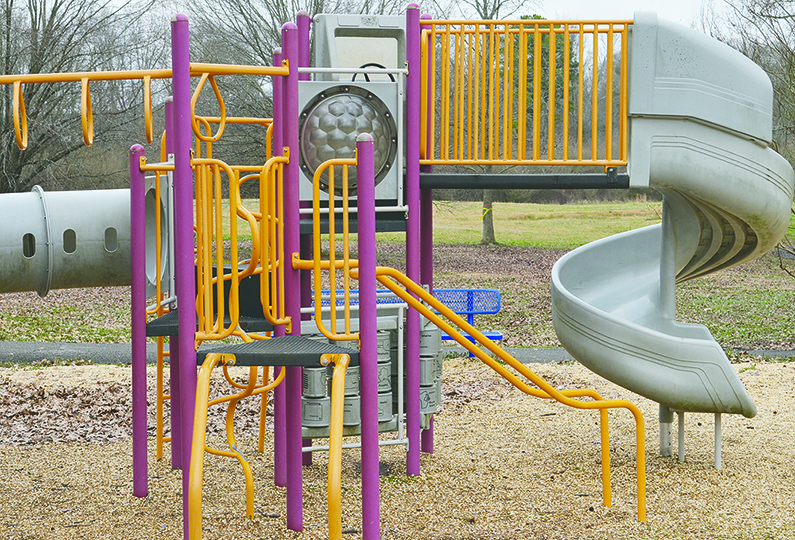 It will be directly north from the playground equipment. An estimated cost is $8,574 for the building of the stage, though this amount reflects buying all the material at cost but does not include labor. “We can save some money on it, because the town will buy a lot of stuff from the people. The trusses can be bought from E4 (Steel Truss) and the metal from the company in Jasper,” Pigg said. She also described the front as a 28-foot stage with no wings and will be insulated and have treated lumber. “We have to have more electricity to it,” Pigg added. A new post to be added for the electricity was discussed before other old business came up. Mayor Pigg mentioned the 5-mil city tax has not changed for this year. This is required to be in the minutes, and the Winston County Revenue Commissioner’s office must be notified. The Winston County Industrial Development Board, needing to have some positions renewed from Addison, was the next subject brought up in the town meeting. Anita Stephenson, Gary Hyatt, David Powell and Jimmy Box were approved through a motion to have their terms renewed for the next six years. The last item on the agenda, after bills were approved for payment, was the school resource officer. “We found the Alabama State Retirement has changed,” Mayor Pigg said of the retirement options of the town. “Anybody that works 20 hours or more has to be on the retirement.” Brett Rodgers, the SRO, is classified as part-time though is working more than 20-hours. “We’ve been paying him contract labor, and we can’t do that any more,” Pigg stated. The only other option was to hire Rodgers full-time as the SRO. “We’re in a position to do it,” Councilman Mike Long said. “I think we need it, so we don’t lose the deal we have with the school,” another council member said. After some discussion, and an executive session lasting from 6:57 to 7:02 p.m., it was decided to hire Rodgers full-time with an approved motion. “That’s what we want you to do. I want you there,” Pigg said.